Gimmick: Masanori Kawada debuted in 1990 as the second incarnation of the Ultraman character the first being his trainer Jun Izanagi. Kawada would choose the name Ultraman Neos. During the 90's and early 2000's Kawada would become one of the most popular and decorated Junior Heavyweight wrestlers in Japan, all the while capturing championships from across the country. In 2005, Kawada would publicly announce that he had accomplished all he wanted to do as a Junior Heavyweight and decided he would begin a journey to make the weight cut to become a Heavyweight wrestler. With this, he would remove his mask for the first time in his career and would begin to go by his real name as he passed down the Ultraman Neos persona to one of his younger students. In 2007, he would return to the ring with a completely new phesique and appearance, officially joining the Heavyweight ranks. He still was beloved by fans who would become captivated by the completely new wrestling style he would adapt in his time away, becoming the All-Might wrestler. Entrance Description: The crowd lets out cheers as the lights die down and the music shifts to "Forces", the music that signals the arrival of The Everlasting Hero. The blue lights pan the crowd as the song hits it stride before Masanori Kawada emerges at the begining of the first verse with a smile on his face as the crowd are heavily on his side with the chants of "KA-WA-DA!" As he reaches the foot of the ramp, he crosses over to the ring steps. However, instead of climbing them right away he leans against the barricade and starts to clap to the melody of his music, getting a large chunk of the audience to follow before climbing the steps. As he enters the ring, Kawada flings the tail of his entrance coat viciously with his arm forward and then behind him upon climbing through the second and third rope. He spins around til he reaches the center of the ring, where he raises both his balled fists into the air. As his name rings out, Kawada lowers his fists to the side of his head in a muscular flex, either culminating with a side-swipe of his elbow to direct him to his corner, or a loud war cry like scream in the case of big/championship matches before moving to his corner to wait for the bell to ring. Despite no longer being the fictional dream hero Ultraman Neos, Masanori Kawada still holds a great sense of justice towards the wrestling world -- Vanquishing evil with all of his might. He has become Puroresu's Absolute Justice, The Everlasting Hero. » 01. High-Impact Frog Splash - Early career finisher, uses occasionally. After graduating from the Dynamite Japan Dojo in April of 1994, Masanori Kawada was immediately picked among that years students class to become the second person to adopt the persona of Ultraman, a licenced character from Eiji Tsuburaya's Ultraman franchise since 1966. The original man to portray the character was Jun Izanagi as Ultraman Stratos, Kawada's trainer who chose him to succeed him as the crowd beloved character. Under this gimmick, Kawada would bring new life to the character by introducing a new dynamic moveset to the character. By the end of that year, Ultraman Neos would be voted as Tokyo Sports Newcomer Award and Popularity award, making him the first man to have won both awards in the same year. On January 8th, 1995, Ultraman Neos would win his first championship under Kawada's tenure when he captured the DJPW Junior Tag Team Championship with Wataru Inoki. He would capture the Junior Tag Team Championship with Wataru once more, as well as with American freelancer Tommy Kid before announcing his intentions of pursuing not just the DJPW Junior Heavyweight Championship, but every single Junior Heavyweight Championship across the country. On December 15th, 1995, Ultraman Neos would win the Dynamite Junior League and challenge then DJPW Junior Heavyweight Champion Shinji Yamazaki for the Dynamite Explosion 1996 event. On February 12th, 1998, Ultraman Neos would defeat Shinji Yamazaki to become the DJPW Junior Heavyweight Champion for the very first time. The match would be the first DJPW Junior Heavyweight match to receive a 5-Star rating from The Grapples wrestling newsletter head writer Jack Gibson, as well as Tokyo Sports Match of the Year. Later that year, Ultraman Neos would venture to other promotions in an attempt to unify every Junior Heavyweight Championship across Japan, the first of which would be against KANSAI PRO's Kinnikuman, another character who was lifted from a different form of media, this time a manga created by Yoshinori Nakai and Takashi Shimada in 1979, however, was introduced as a wrestling persona in 1998 after the Kinnikuman: The Second Generation was launched in Japan. He would defeat Kinnikuman to capture the K-Pro Junior Heavyweight Championship on February 2nd. He would later go on to capture the British Commonwealth Junior Heavyweight, El Dorado World Light Heavyweight, WWA World Junior Heavyweight, Mexican National Cruiserweight and DREAM Junior Heavyweight Championships. In the process, he would create the J-Crown and would defend all of these championships at the same time. He would hold onto these titles until March of 2000, where he lost the crown to his former rival Shinji Yamazaki after defending the combined J-Crown 22 times. In 2005, Ultraman Neos would announce his retirement from professional wrestling as he wished to serve some time in the Japan Self-Defense Forces. With this announcement, he unmasked for the first time in a wrestling ring, announced his real name before offering the Ultraman Neos namesake and mask to Hayato Sekishima, who would accept. In 2007, Masanori Kawada made a surprise appearance at the Dynamite Explosion event, announcing his honorable discharge from the Japanese Self-Defense Forces and his return to professional wrestling. Having gained quite a lot of muscle during his time away, he also announced that despite his legacy in the Junior Heavyweight class, he no longer has anything the pursue in the division. As such, he would be making the jump to the Heavyweight class upon his return. His first feud back in Dynamite Japan would be against Hayato Sekishima, who in his time away discarded and mocked the Ultraman Neos namesake, removing his mask disgracing it in the process. During the feud, Sekishima carried around the Ultraman Neos mask, stepping on it, ripping it, spitting on it and various other methods of defiling it in an attempt to provoke Kawada. On September 19th, He would defeat his former successor in a Máscara contra retiro (Mask versus Retirement) match, while debuting a new variation of the Ultra Driver. In January of 2018, Masanori Kawada announced that he had left Dynamite Japan to venture outwards into new flourishing promotions around the country, and sighted the brand new Strong Style Wrestling as his new base promotion. 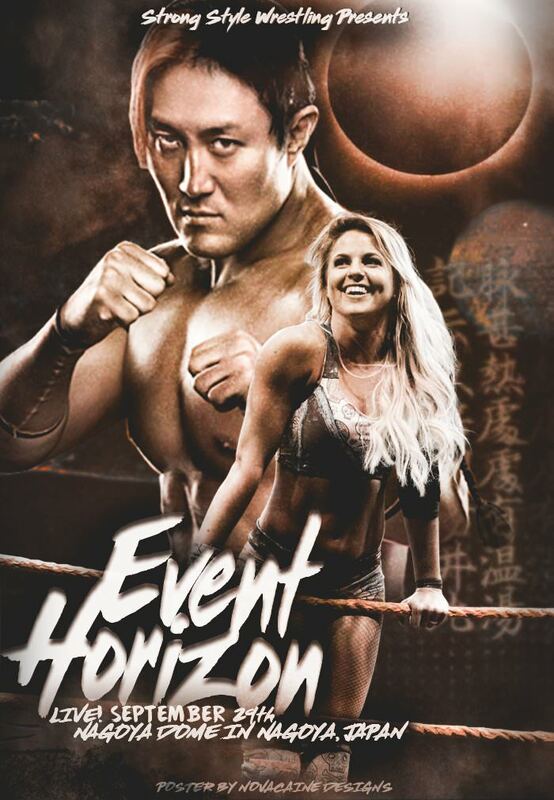 He was quickly signed onto the Shoot Nation faction, alongside Satoshi Yoshida, Tetsuo Miyashiro, Candice Blair, Ken Matsuda & faction leader Jaydane Pendragon. On January 21st, Kawada was defeated by Khmaoch Sângkât in a match to coronate the first SSW Heritage Champion after John Doe attacked Kawada. Tends to finish promos and segments with the phrase 'BRACE YOURSELF!' when directed towards an opponent. It has become his signature phrase along with his dynamic pose. 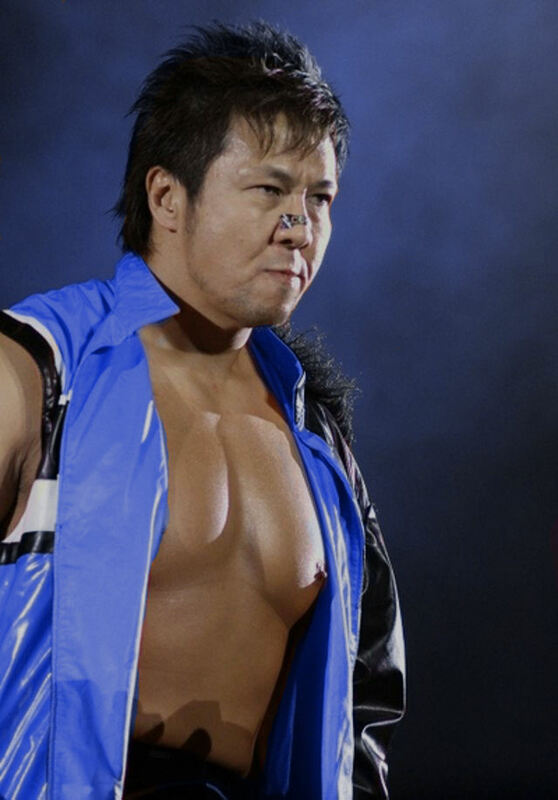 He will also use it to culminate celebritory speeches (similar to how Tanahashi and Naito would end promos after winning main event matches) directing it to the people who intend to stand in his way in the process of becoming the ace of SSW. The fans will more often then not say the phrase with him. Kawada had a brief stint with the Japanese Self-Defense Forces in his absense from wrestling in 2005, and currently is a police officer in his home town outside of his wrestling occupation. When Kawada draws blood, it almost always triggers up the intensity behind his moves. Kawada is always a litte hesitant to strike a woman in the ring, though finds grappling fine. Updated moveset with External links added. Update before debut (late as always. ): Added a bare-bones backstory that I will finish at a later date, but serves the purpose of painting Kawada's backstory before coming over to SSW. Also added a list of the championships he won in that time for extra detail. Added an entrance description because why not. Also added a few notes. Last update (promise). Dropped the Jet Jaguar stuff in favor of Ultraman for reasons that will be explained at a later date. As such, names of all Jet Jaguar adopted moves have been changed accordingly. Updated format because I can.